The main subject of last night’s Park View UNC meeting, held at E.L. Haynes, centered around community concerns with safety, operation, and conditions at the Rec Center. In addition to members of the community, representatives from DPR and Councilmember Graham were in attendance. The discussion opened with a presentation by ANC 1A08 Commissioner Cliff Valenti. 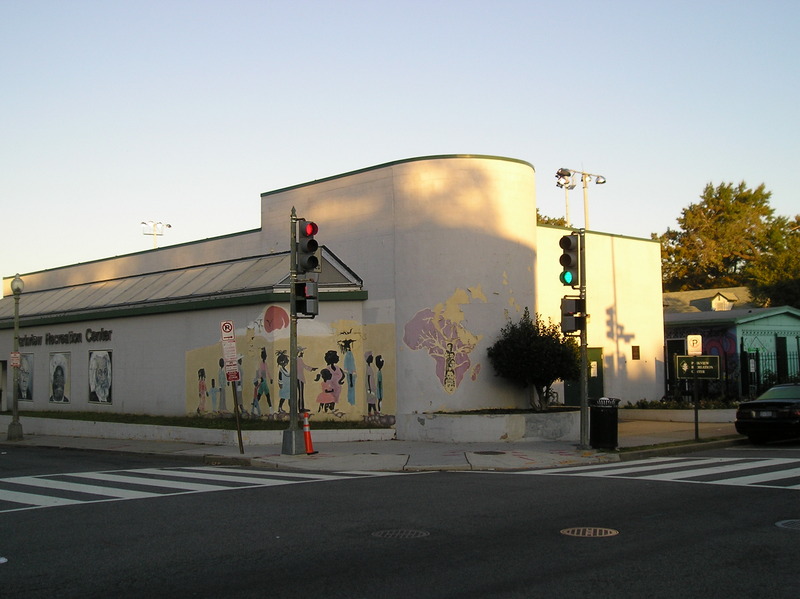 Valenti, using a projector, showed the assembly images of Stead Park Recreation Center and the Kalorama Recreation Center. While the Kalorama site has significantly more land than the Park View site, Stead is roughly the same size. 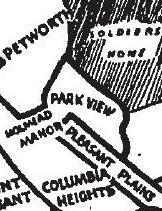 Among the significant differences between Stead/Kalorama and Park View is that Stead & Kalorama both have similar designs that separate the children’s play area from the older teens basketball area with a buffer area in between. Both centers also have active “Friends of … ” organizations composed of active residents. To this last point, Valenti circulated a sign up sheet to get a Friends of Park View Rec Center started and those interested in finding out more can email Valenti to be included in upcoming planning meetings. While there are many items still to sort out, and issues as yet unresolved, one thing came through loud and clear among those assembled … there is a great deal of interest and concern in correcting the shortcomings at the Rec Center and finding ways to communicate and work together better to find the appropriate solutions. The July, 2010, Park View UNC newsletter is now available. 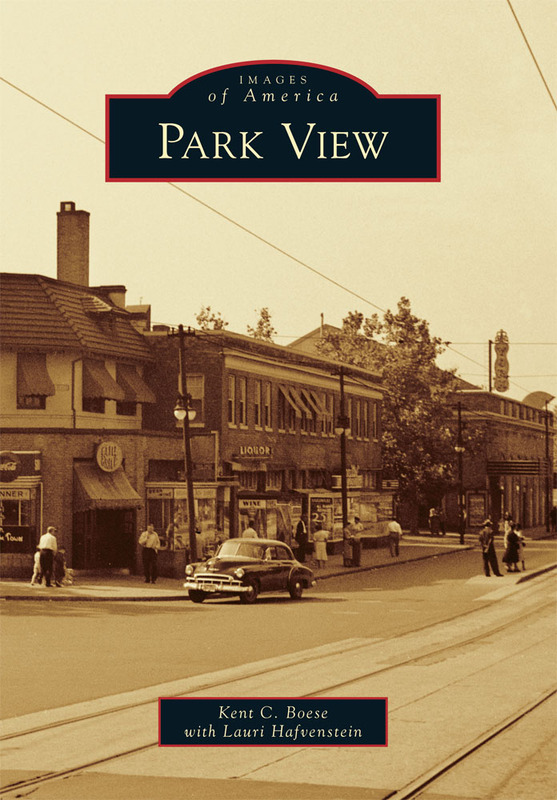 The next Park View UNC meeting will be on Wednesday, July 7th, and the E.L. Haynes Public Charter School. ANC Commissioner Cliff Valenti informed the assembly that there will be two items on next week’s ANC1A meeting agenda of interest. 1) The liquor application for Morgan’s Seafood (3200 Georgia Avenue). The liquor license issue has been a contentious one as already reported. Residents who care about this issue are encouraged to attend the meeting as voice their views on the issue. 2) The former Central Union Mission property at 3510-3512 Georgia Avenue will be before the commissioners who will consider the amount of parking requested. The developers are asking for a variance to provide only 29 parking spaces when zoning requires 50 spaces for a building of its size. Residents living on Newton Place have already expressed concerns about parking being difficult on the street that would be most impacted by this development. DDOT was present to give an overview of the Middle Georgia Avenue Great Streets project which is located between Webster Street and Otis Place. Work on the project began on May 17, 2010, and is expected to last approximately 18 months. It will be completed in roughly three phases starting at Webster and working south. The first phase now underway is the conduit work. This is estimated to impact the area between New Hampshire Avenue and Otis Place in about three to four weeks. 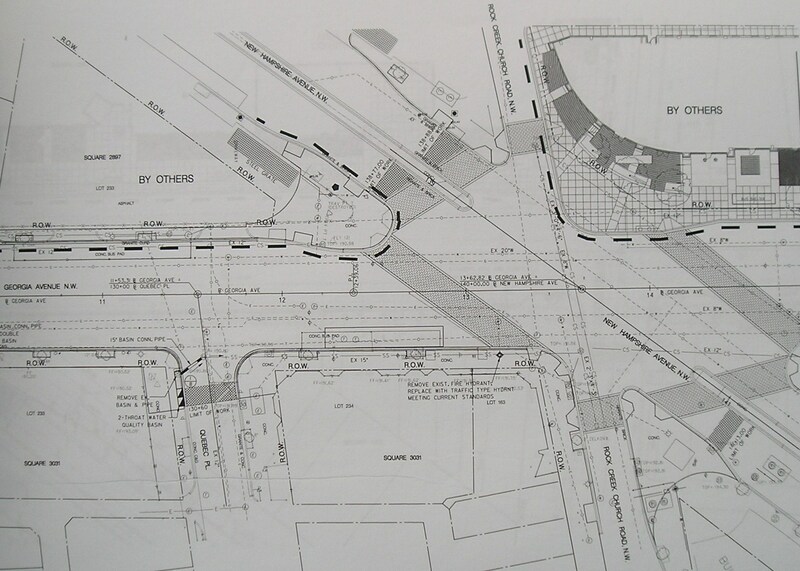 When it is completed, work will move to the east side of Georgia — starting again at Webster and moving south — with curbs, landscaping, street furniture, etc. until work has been completed to Otis. Then, the process will be repeated on the west side of Georgia Avenue once again at Webster. The subject of rat abatement was presented by John Hanly, who spoke to the need to have petitions filled out by residents so that the Department of Health can abate entire alleys rather than bate one property at a time. More details, including how to contact Hanly to assist in collecting signatures, are included in the June Park View UNC newsletter. Neighborhood trash, particularly around the 600 and 700 blocks of Princeton Place, was brought up with a request to Councilmember Graham’s representative, Benton Heimsath, to investigate what it would take to have a public trash can installed. Commissioner Valenti stated that trash was a complicated topic, with resident’s being responsible for maintaining the property in front of their homes. To successfully combat street debris, the assembly discussed the need for door to door education, community clean-ups, and contacting DCRA for difficult properties. Success will likely require a balance of all of these approaches. Heimsath will look into the trash can request and report back. The meeting closed with a discussion focused on the possibility of a community flea market or yard sale. The goal of the sale would be to raise money for the UNC and help residents dispose of items they no longer needed. More information regarding this idea will be forthcoming as it is developed further. The next UNC meeting will be held on Wednesday, June 2nd, at 7 pm at the Park View Recreation Center. The next UNC meeting will be held on Wednesday, May 5th, at 7 pm at the Park View Recreation Center. David Vacca from Councilmembers Graham’s office followed up on two issues from the last meeting. The first was the impact the change in real property tax assessments has had this year, where tax assessments are now based on a 40% floor. This change has had a major impact on folks whose homes are have risen in value significantly over the last few years. CM Graham is currently working with CM Evans to reverse this change. Vacca also alerted the community that homeowners who are victims of graffiti can expect a response from DPW about a week after the tagging has been reported. Officer Dyson of MPD spoke on the issue of thefts from autos and shared crime statistics for the past few months. Many of the items being stolen from vehicles are laptops, cameras, and navigation devises. These items are desirable because they can be turned into quick cash and support drug habits or other illegal activities. Park View’s now has an assigned foot patrol, Officer Jenkins. He will be on duty Tuesday through Saturday with other officers filling in on his days off. Commissioner Valenti reported that at the next ANC 1A meeting they will be taking up the issue of parking passes for Ward 1 residents. Much like the program now in Ward 4, the proposal is for the issuance of two passes per household that can be used for visitors without the need to get a temporary pass from a police station. Valenti also briefly described the proposal for the first phase of the Park Morton development and explained how it differed from the project the Central Union Mission had proposed. The key issues that needed community input were the variances, those being — fewer than required parking spaces, a building two feet higher than currently allowed, and a 30 foot loading bay rather than the 35 foot bay required. Valenti also stated that he was desiring a green roof for the building. Because of this, the UNC body voted on the issue with the result being 10 in favor of the project and 3 against. Several members abstained. The mural project on the Otis Street side of the Rec Center was presented by Marie Moll from LAYC. The proposed mural would completely replace the figures that have been on that wall for many years. While there was much positive feedback and appreciation of the design, there was also concern and some disapproval that the old murals had already been primed over. One long time resident specifically requested that the old murals be repainted. She agreed to work directly with LAYC to find a solution agreeable to all parties. During community comments at the end of the meeting there was a spontaneous discussion of the Park View school. The opening comment expressed frustration that the school was not currently called Park View, but rather Bruce-Monroe @ Park View. A number of residents expressed that they want “Bruce-Monroe” removed from the sign of the school. It was explained that the current plan on the table is for the City to issue an RFP seeking a public/private partnership to build a new school, retail space, and condominiums on the former Bruce-Monroe site and that the school housed at Park View is considered a temporary situation. Funding for Youth Basketball League. Also noted, the Wednesday UNC meeting — held at the Park View Rec Center — will include a presentation on the new mural proposed for the south side of the Rec Center.